BlogHome » Should I Insulate My Water Pipes for the Winter? 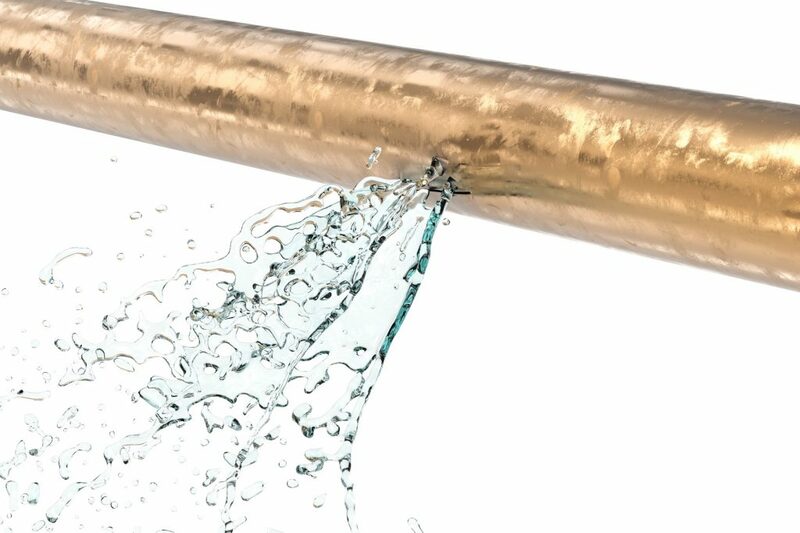 Homeowners have many reasons to insulate their home’s water pipes, especially prior to winter. The prime time to wrap both the cold water pipes and hot water pipes in insulation is before subfreezing temps hit. Insulating the home’s water pipes is relatively inexpensive and can be easily accomplished on a single afternoon. A trip to the hardware store and paying $10 to $15 for pre-slit insulation is enough to safeguard your pipes throughout the winter. 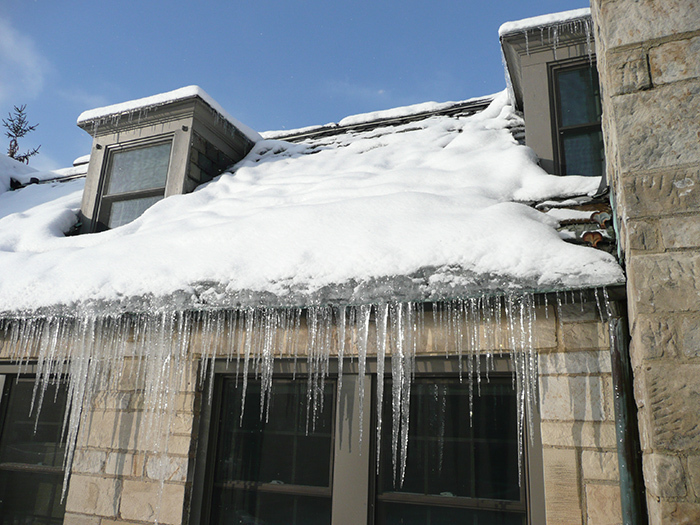 Wintry weather poses as a sure adversary to uninsulated plumbing pipes. Pipes can freeze, burst and flood the home. Uninsulated spaces inside the house, like the basement and crawl space, are prone to below freezing temperatures. Water pipes that run through these unheated spots can easily succumb to the chill and rupture. Water damage is pricey to repair, costing homeowners thousands of dollars. You can avoid the consequences of leaky or burst pipes and their associated expenses by treating the plumbing with insulation. Wintry weather poses as a sure adversary to uninsulated plumbing pipes. Pipes can freeze, burst and flood the home. 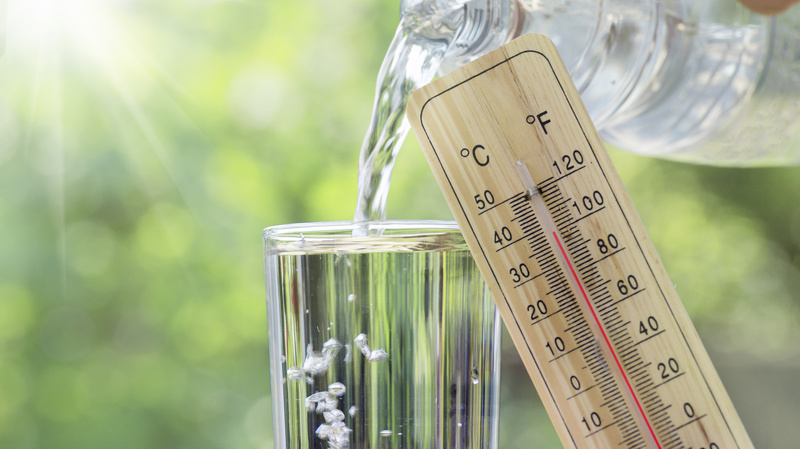 The water that travels from the hot water heater through the hot water pipes tends to remain warmer longer when the pipes are not exposed to the colder, outer air. As a result, homeowners save on water heating energy expenses. The aftereffect of insulated hot water pipes gives you the opportunity to turn down the temperature on the water heater by ten degrees. Homeowners subsequently reduce their heating costs by 3 to 5 percent. Homeowners also rarely need to purchase a hot water recirculation pump if their hot water pipes are insulated. Preventing moisture condensation along the cold water pipes can be readily achieved with insulation. Dodge the irritating puddles of water underneath the pipes via insulation. Humidity concerns are also thwarted with proper water pipe insulation. Hot water pipes tend to expand as the hot water runs through them, creating noises. Insulating these hot water pipes muffles the sound issues. Extend the life of plumbing pipes when remodeling or in new construction by insulating them. Homes under construction permit easy access to water pipes that would otherwise be out of reach for the average homeowner. Pipe insulation features materials that resist thermal energy activity. Water may travel through plumbing pipes from underground temps of 50 degrees Fahrenheit to icy, aboveground temps of -10 degrees Fahrenheit. Insulation simply retains the water’s heat energy as it moves along the pipes. Frozen pipes are consequently avoided. Choose the right insulation for your home’s needs. Factors that help narrow down your insulation choices include whether the pipes are interior or exterior piping or hot or cold pipes. Three common options are available for hot water pipe insulation: cray flex, resin bonded rockwool and spiral-wrap fiberglass. Cray flex and resin bonded rockwool offer resistance to high heat. Though inexpensive, spiral-wrap fiberglass is challenging to install; however, this type of insulation retains the excess heat in hot water pipes exceptionally well. Cold water pipes can be insulated with polyurethane foam or rubber foam. The former is an excellent choice for subfreezing temps, while the latter resists moisture condensation buildup. Pipe wrap insulation is a commonly used method to insulate the water pipes. Consisting of a variety of forms, like bubble-film wrap, flexible foam, foam-and-foil and rubber pipe insulation tape, pipe wrap insulation is a hassle-free way to ensure your home’s plumbing pipes are covered for the winter. Tubular sleeves are ideal for longer pipes spanning six feet. Featuring foam or rubber, tubular sleeves can be adhered with their self-sealing attributes. These sleeves can also be trimmed to accommodate shorter pipe lengths. 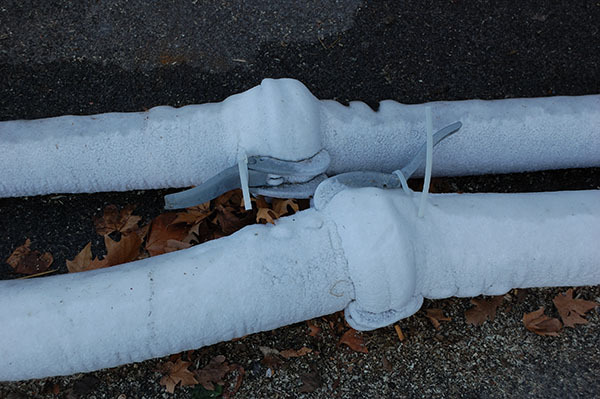 Insulated covers intended for outdoor faucets are ideal for winter’s freeze, preventing exploding pipes. Foam covers stop heat loss. Certain insulated locking faucet covers go a step further and avert unauthorized use of the outdoor faucet. Clean off any dirt and dust from the pipes prior to adding the insulation. The insulation’s adhesive has better adherence to a dry, clean pipe. Any excess moisture will ensure the insulation loosens. The insulation’s adhesive has better adherence to a dry, clean pipe. Any excess moisture will ensure the insulation loosens. Choose insulation with a high R-value. The R-value measures the heat flow of materials. A greater R-value provides improved insulating ability, which is especially useful in subfreezing geographical areas. Prior to each cold season, inspect the water pipe’s insulation. Over the months, insulation materials may become worn. Replace any weathered insulation. Check for any loosened areas and reseal them with duct tape. The water pipes that run from the hot water tank to the wall should be insulated. The first three feet of cold water pipes that enter the house should also be wrapped in insulation. 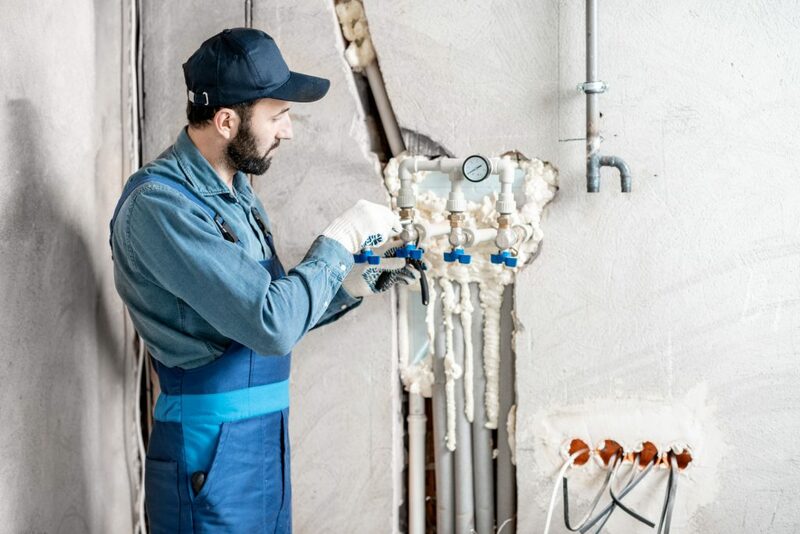 A home that undergoes any level of water damage from unanticipated events, like burst water pipes, should be immediately serviced by a reputable water damage restoration professional. ServiceMaster by Restoration Complete offers thorough water damage restoration services to help return your home to its pre-damaged state. Upon noticing the water damage, ServiceMaster by Restoration Complete technicians advise homeowners to shut off the water to the home. Once this is done, immediately contact our specialists to address the existing water damage. Skilled technicians will arrive onsite, ready to inspect the damage, develop a restoration plan and begin work. Included in our services is complete moisture removal with advanced water extraction equipment and powerful dehumidifiers. All structures and furnishings are treated to extract water. Mold growth is prevented using antimicrobial solutions. The affected space is then sanitized to return the home to a habitable and safe condition. ServiceMaster by Restoration Complete is available 24 hours a day, 7 days a week to take your emergency call. Our water damage restoration experts reliably service the residential and business communities of Newark and Essex County in New Jersey.